Derby Cathedral celebrated 175 years of the Railways in Derby with a special commemorative service, led by the Dean of Derby, the Very Reverend Dr John Davies. Our Managing Director John Barke was one of the attendees and said the event was "a touching tribute to Derby's Rail heritage. FPA was borne from the British Rail Board so we appreciate the economic value this industry has created in our City". The ceremony was attended by the Lord Lieutenant of Derbyshire, the Mayor of Derby, the DDRF Chairman and the Secretary of State for Transport, all arriving on a miniature train! 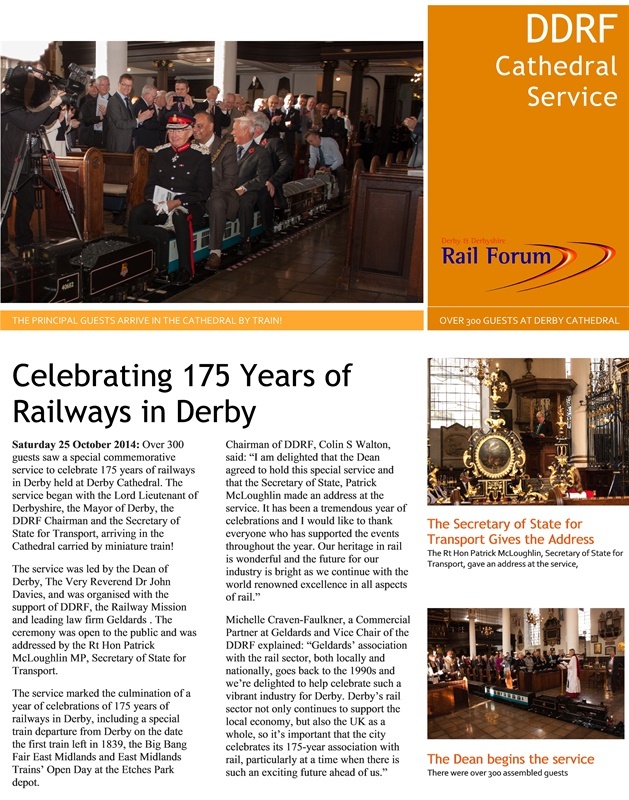 Click below to read the Derby and Derbyshire Rail Forum article.